Parenting Services Exhibit - more than a dozen tables where you can meet and receive information from leading clinics, surrogacy agencies, sperm and egg banks, lawyers and other professionals, in addition to several community organizations. Also 12:30-1:30PM and 3:00-6:00 PM. 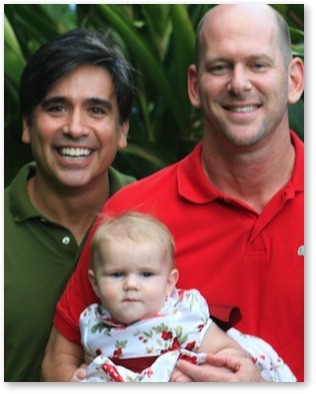 A panel of medical, psychological, and legal experts will provide an overview of the entire surrogacy process. 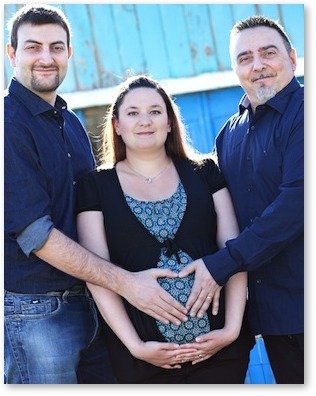 Hear the diverse personal experiences of several surrogacy dads, surrogates and egg donors. Rachelle is a surrogate mother from California that delivered a baby for a gay couple from Italy just a couple of weeks ago… Rachelle will speak about her relationship with the intended parents, their decision to only transfer one embryo, minimizing the use of injectable medications, the support she received from her husband, friendships lost and found, etc. And when your baby comes don't forget: Rachelle and her husband have a cool cloth diaper service and baby boutique! Parenting Services Exhibit - more than a dozen tables where you can meet and receive information from leading clinics, surrogacy agencies, sperm and egg banks, lawyers and other professionals, in addition to several community organizations. Rudy Rupak is the CEO and co-founder of PlanetHospital.com LLC. His background in medicine, insurance, customer service, and international business has helped him build PlanetHospital.com into the first and largest Medical Tourism company in the world. Prior to PlanetHospital.com, he has produced feature films, video games, and taken a software company public before the age of thirty. Rudy was the first to send an American patient for surrogacy to India and the first to send a gay couple from the US and Australia to India for surrogacy as well as develop Panama as a market for surrogacy. He has personally faced down fierce opposition to gay surrogacy including threats of physical harm but Rudy’s wife told him -- explicitly – “don’t let the crazies win”. To upset the crazies further, Rudy helped pioneer gay surrogacy for an HIV+ father successfully. Rudy and Planethospital.com have been featured in over 300 media stories including Wall Street Journal, CNN and is very active in promoting gay surrogacy causes around the world.